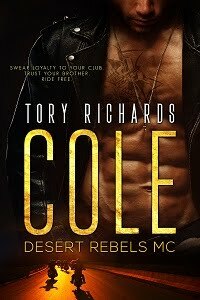 TORY RICHARDS: You Need to Read! ...says Mindy over at You Gotta Read Reviews. A well-written who-dun-it is always fun to read, and All the Right Moves certainly has all the right ingredients to make it a good story. Added to the suspense and mystery is the humor and quick dialogue. I liked the interaction between the main characters, the constant repartee was highly entertaining. When not talking, Ms. Richards did find other activities to fill their time, and she certainly knows how to describe hot and heavy love scenes in detail when writing about those other "activities." As an added bonus were a number of quirky and charming secondary characters to help progress the story along.